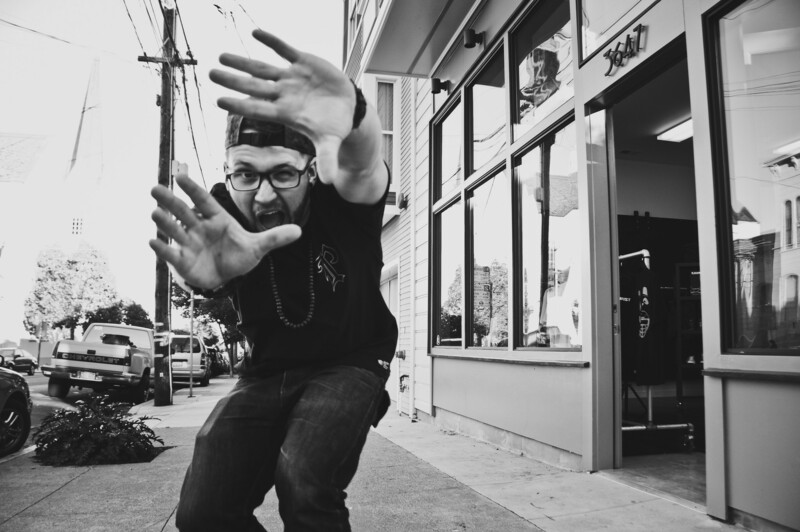 Rapper Andy Mineo comes to the Knitting factory tonight. Stick around after the show, you may even get pulled into a game of dodgeball. It turns out that Christian rappers are doing big things in the mainstream these days (we explored the topic in this week’s music section). Of course, New York-based Andy Mineo qualifies in that he’s a rapper who happens to have a faith, but Mineo is one of the artists leading the charge. He plays the Knitting Factory tonight at 7 pm and tickets are $25. Within the Seattle-based collective the Horde and the Harem's indie-rock and folk-pop songs are so many ideas. And tonight you can experience all of them at the Observatory. Pine League and Buckingham and Company open. Cost is $5 for the 9 pm show. &amp;lt;a href="http://thehordeandtheharem.bandcamp.com/album/fairweather-friends"&amp;gt;Fairweather Friends by The Horde and the Harem&amp;lt;/a&amp;gt; Tonight, the Iron Goat Brewing hosts a grand opening celebration at its new location (read about all the changes right here). The lineup tonight includes local acts Milonga and Mama Doll, starting at 4 pm. Then Saturday you get a whole lot more with Dead Serious Lovers, Nick Grow, Summer in Siberia, and the Fun Ladies, which begins at 11 am. In the mood for some acoustic music madness? The Viking hosts Getchfest Saturday, which includes a whole bunch of local artists comin’ in and strippin’ down, musically speaking. The lineup features short sets by members of the Nixon Rodeo, Invasive, Free The Jester, Banish The Echo, Children Of The Sun, Tyler Lang, Sovereign Citizen and more. The whole super-long show starts at 3 pm. Anyone running Bloomsday Sunday morning, go ahead and check out the on-course entertainment lineup right here. Be sure to vote for you favorite when you’re all done running, the groups truly appreciate it. The holy grail of old school metal comes to the Pin! Sunday night. That’s right, metal act Holy Grail has a sound that will bring you back to the metal of your youth (we wrote about them this week, too). Check them out along with DevilDriver, Incite, Hemlock and Invasive starting at 7 pm. The all-ages show is $20. And, in case you missed it, the Volume lineup is here!